Gert van Loo, the Broadcom employee responsible for the RPi alpha build has now come up with the Gertduino. 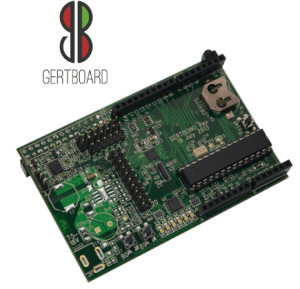 He also gave us the GertBoard GPIO Expansion board some time ago which provides general purpose I/Os, LEDs and motor driver capabilities for the Rpi. Gert’s latest creation, the Gertduino board, plugs onto the RPi and connects it to virtually any existing Arduino Shield. The board itself basically offers the same functionality as the Arduino-Uno but with some added features thrown in. As well as an ATmega328 and ATmega48 (both of which can be programmed from the Raspberry Pi using the Arduino GUI or the GCC Atmel compiler), the Gertduino packs a real time clock, 16MHz oscillator, IRDA interface, RS232 level converter and a battery back-up power supply for the ATmega48. Gert explained that the Gertduino design focuses on education and developmental use; he created the board to help leverage the combined power of the Raspberry Pi and the Arduino developer communities. Teaming up the RPi together with a Gertduino gives a complete low-cost development platform for Arduino applications. 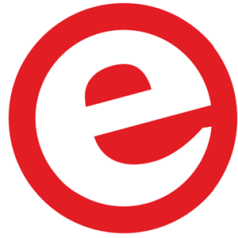 Stocked by Element14 it retails at £18.87 in the UK and around $30 in the US.